You will need NT$5,000,000 or SGD$220,000 to apply for PR in Taiwan. 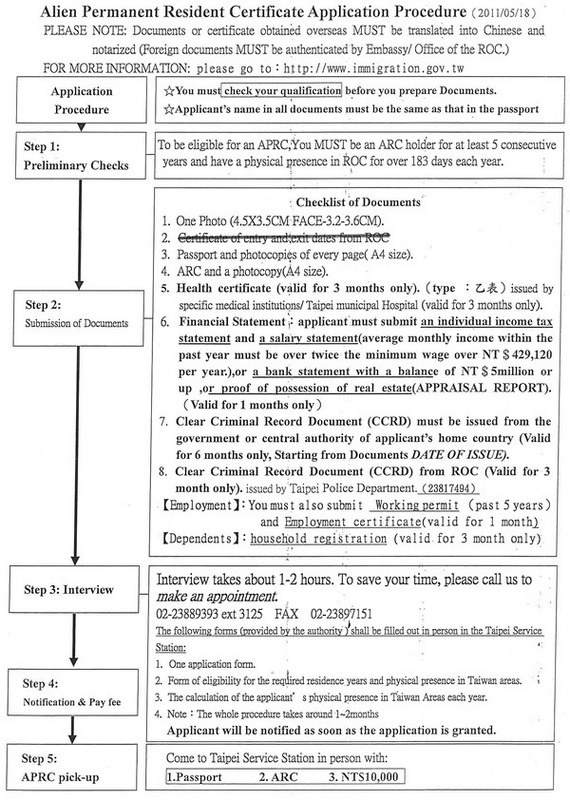 Anyone applying for permanent residency under circumstances other than the ones states in the preceding subparagraph shall meet one of the following conditions. a. Having earned an average monthly income in Taiwan for the past one year that is twice as much as the Monthly Minimum Wage promulgated by the Council of Labor Affairs. c. Having a certificate issued by the ROC government certifying that its holder is a professional or technician or has passed a technical examination. The terms are more onerous than that of Chile's. Chile is still my preference. This is interesting. Thinking of moving there. Thks. How are job opportunities in Taiwan? Heard pay not that good. good or bad, up to you to judge. the average income is TWD22,000. sure or not, so low meh? that meant Taiwanese monthly income average only S$1000? 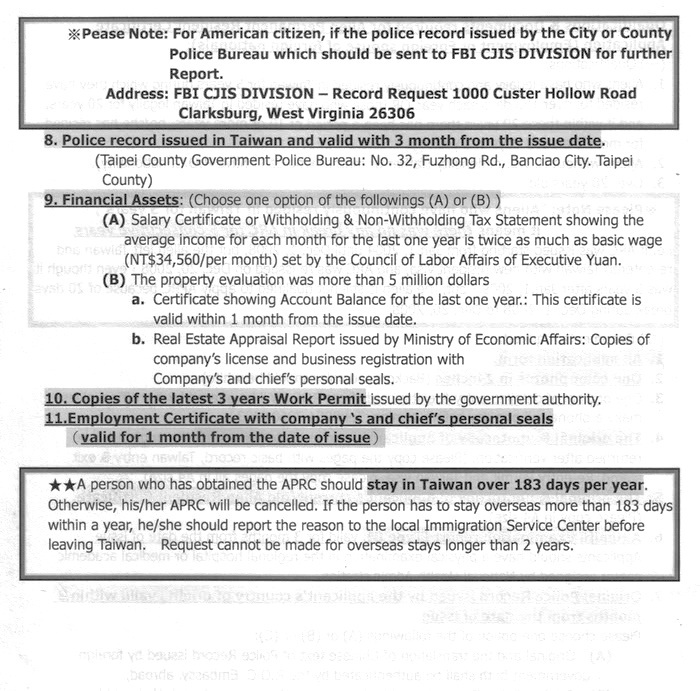 A special category, Plum Blossom, has been created for Senior Professionals and Investment Immigrants. 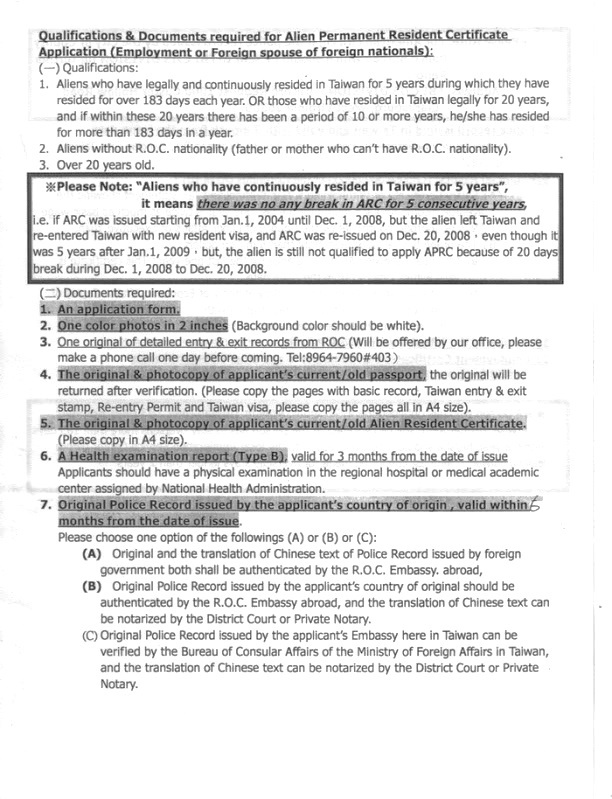 Read previously that if one's ancestors were from Taiwan previously, one can apply for PR by association or something like that? Many SYT Taiwan mei-meis looking for rich sugar daddy PRs! Brush up your American Inggrish and Silicone valley tech talk will be very appealing. Singlish tak-boleh la. who the f*ck wants to get useless pr in taiwan? Why useless? Mrs Mitch McConnell (wife of the traitor Republican Senate leader) has Taiwanese blood. but she prefers to be a u.s. citizen, is now the secretary of transportation, and her parents brought her to the u.s. from taiwan when she was 8. she has no taiwanese pr. taiwan can give her honorary pr but who wants it. having taiwanese roots and taiwanese pr are 2 separate things. and there's no such thing as taiwanese blood. Taiwan is a lousy province of China.